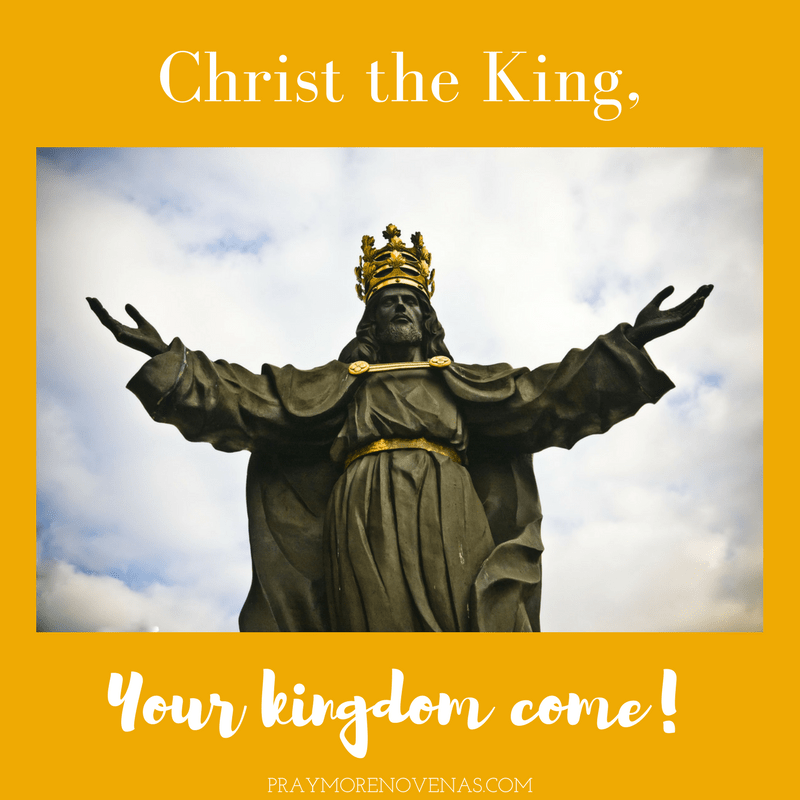 Here’s Day 4 of the Christ the King Novena! Dear Jesus and Mary, thank you for some positive news at the doctor’s office today. Please help me too continue making good choices is my heart health. Abba father lord Jesus holyspirit turn the situation in our family around.We pray for peace unity and LOVE.CHRIST THY KING come be born in our hearts this season. Pray for my nephew and his wife to return to the Catholic Church/Faith. (( I was wrong yesterday it’s been 16 years, not 20 years, ever since my nephews Jr year of college he stopped). I do believe and trust oh Lord he will return with a deeper belief than ever before. Thank you.